Rook City Listening/Viewing Party, TWO New Shows and more! It’s been a good while since our last Retro Listening/Viewing Party, and you’ve been asking when the next one will happen… well, we’re happy to say that the Rook City Listening/Viewing Party will be held next Wednesday April 12th at 2 PM Eastern. Join us on our Twitch channel to hear the marvelous Music of the Multiverse along with exclusive insights from our composer Jean-Marc. You’ll also hear from Jennifer about creating the environments of the Multiverse. And as always, if you are unable to join, fear not! The stream will be posted to our YouTube channel a day or so after the event. This listening party will complete the last Kickstarter Squish Goal™ earned during the campaign! New Streaming Shows coming to Handelabra Games! The always plucky show you know and love, featuring Jeremy and John! Explore deep analysis and strategy tactics inside Sentinels of the Multiverse with LewdDolphin! Pull up a chair for Denonczd’s storytime! These battles may be won or lost, but they will always make a good tale. Don’t forget to subscribe to our YouTube and Twitch channels to receive notifications about all this Sentinels goodness! So grab some sour cream and chive, run, walk or drive, watch Sentinels Live, Dolphin’s Dive, and Tales from the Archive and we promise not to connive to contrive a reason to keep you up until five. Next week these shows will arrive - and that ain’t no jive. When we first added variants to the game, the only way to get them was by completing the story challenge. In 2015, based on your feedback we added a way to unlock them using a cheat code (now a button) that became available approximately 30 days after the initial drop. Recently we got a great suggestion from phantaskippy on the Greater Than Games forum, and decided to update the policy. The 30 day policy is still in place, but if the community discovers the official unlock condition before that, the unlock button will be made active early. 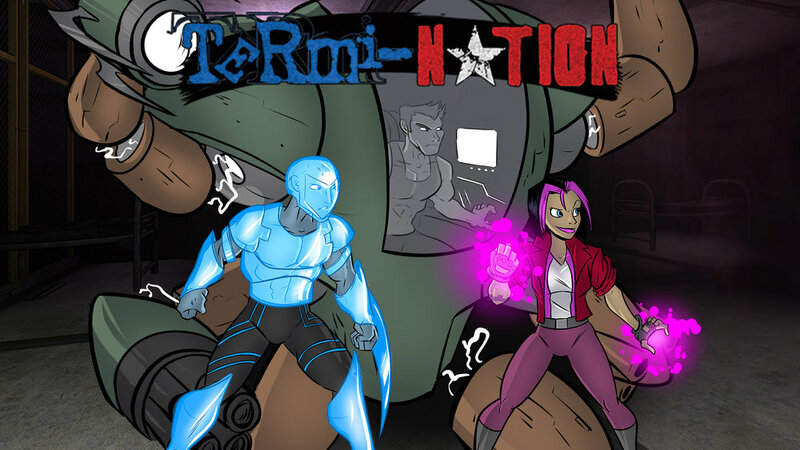 Since all of the official unlock conditions for the new Termi-Nation variants have been discovered, their unlock buttons are accordingly now available!